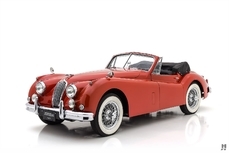 General description : Considering the resounding success of the Jaguar XK120, company management and engineers weren’t eager to make drastic changes for the car’s upcoming replacement. 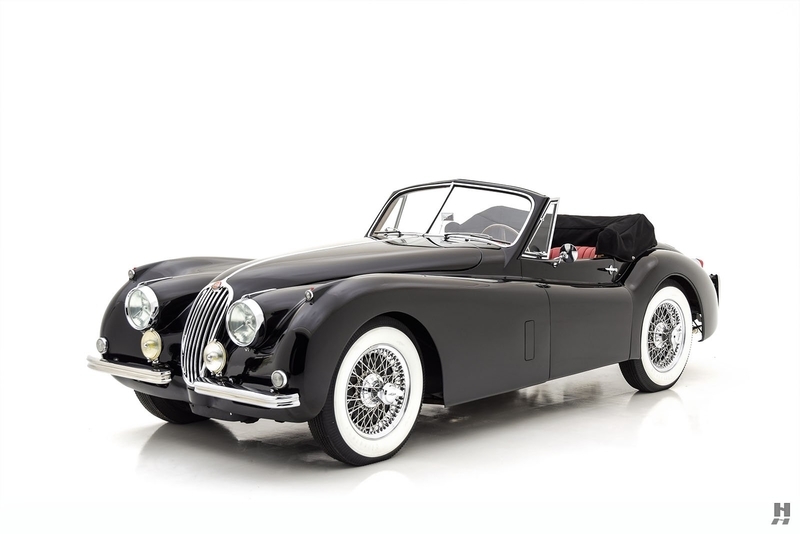 Instead, they chose an evolutionary approach and used the opportunity to address some of the complaints from current owners in order to make the new XK140 faster, better handling, and more comfortable, all without sacrificing the stunning good looks of the original. Making its debut in 1955, the XK140 was outwardly very similar to the XK120, with only subtle alterations to the styling. Sharp-eyed buyers noticed the new car had more substantive, full-width bumpers, and some additional chrome strips added to the boot and bonnet lids. A new bootlid badge touted the C-Type’s success at LeMans. 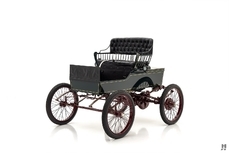 The cockpit was made marginally longer and wider for improved comfort, and as with the 120 before it, customers could select from the pure and sporty Open Two Seat Roadster, or the more luxuriously trimmed Fixed Head Coupe or Drop Head Coupe. 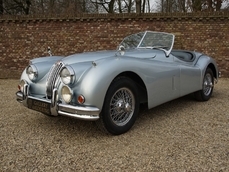 While multiple details changes set the XK140 apart on the outside, substantial improvements to the chassis made it an altogether more satisfying car to drive. Jaguar ditched the worm and sector steering box in favor of a new rack and pinion arrangement. Also gone were the 120’s pre-war era lever-action dampers, replaced with modern telescopic dampers. The brakes also received attention, with a new master cylinder and improved linings. Of course, Jaguar retained the “XK” overhead cam inline-six and four-speed Moss gearbox. 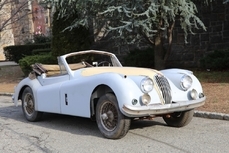 The 190 horsepower version from the top XK120 SE now served as the base engine, with upwards of 210 horsepower available with the optional high-flow cylinder head. XK140 production lasted for only a short period before the heavily revised XK150 replaced it. As a result, fewer than 9,000 were built between October 1954 and January 1957, making it the rarest of all three variants of the XK. Today’s collectors appreciate the XK140 as it retains the pure beauty of the XK120 while offering superior on-road ability and comfort. 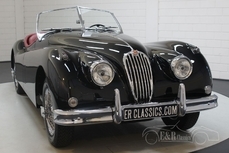 Completed on November 27, 1956, this XK140 SE is a lovely example of the rare and luxurious Drophead Coupe. This particular car features desirable options and several individual touches that serve to improve the driving experience. According to the Jaguar Heritage Trust Certificate, this car originally left the Coventry works in British Racing Green over a tan leather interior, destined for American shores via Jaguar Cars in New York. It has since been treated to a comprehensive restoration, which was freshened in 2018, and now sports a crisp and attractive black over red livery. With its deep black paintwork and contrasting, period-correct Firestone “pie crust” whitewalls on chrome knock-off wire wheels, the visual effect is dramatic. 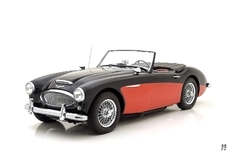 The quality of the paintwork is excellent, with good panel gaps and fitment of the body. It has been subtly back-dated with the use of slim XK120 bumpers, which give the car a lighter and more delicate appearance. The plating on the wheels, bumpers, and body trim is excellent all around, and many of the body weatherstrips and gaskets are new. More dramatic changes are made inside, with the standard XK seats replaced with period-look buckets. The new seats provide exponentially more support compared to the originals, while also allowing significantly more room head and legroom for taller drivers, all while maintaining a period-appropriate appearance. The red leather upholstery is excellent, with new red carpets, Moquette kit, and headlining fitted in 2018. Drophead and fixed head models had more luxurious appointments, thanks in large part to the elaborate burl wood dash treatment. This car’s wood dash, door caps, and window surrounds have been completely refinished, and present in excellent order. Also, a Becker Europa sits in the dash, feeding discreetly mounted speakers in the footwells. Roll-up windows and a fully lined folding canvas hood offer superior weather protection compared to the roadster, while still allowing for the wind-in-the-hair motoring experience. 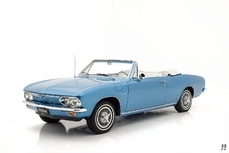 Under the bonnet, the matching-numbers (block and head) 3.4-liter inline six is in pleasing and honest cosmetic condition. 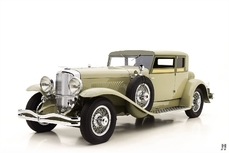 Polished cam covers and carburetor bodies are in good order, with a very light patina appropriate for a car that is well-suited to regular use. A high-torque starter replaces the original, and a modern alternator takes the place of the factory generator. Beautiful new porcelain black exhaust manifolds were fitted in 2018, which pair with a stainless steel exhaust system. The engine runs well, feeling well-sorted and ready for regular enjoyment on the road. The Jaguar’s XK’s combination of performance, style, and value made them the standard for which all other English sports cars were judged. With its combination of pure, iconic design and improved performance, the XK140 is arguably the best of the breed. 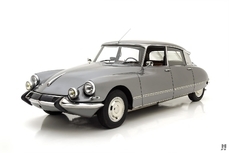 This car’s understated modifications further improves on the original formula, and it is sure to be a favorite for the driving enthusiast. 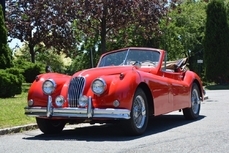 1957 Jaguar XK140 Drop Head Coupe is listed sold on ClassicDigest in St. Louis by Mark Hyman for $117500.